The Smiths may get to wear the “saddest band of the 80’s” crown for their entire, melancholic catalog, but “Fast Car” by Tracy Chapman could match any song of theirs pound for pound in the bleakness category. Released in 1988, it was the first single off of her debut album, Tracy Chapman and helped her to win 3 Grammy awards in 1989: Best Female Pop Vocal Performance, Best Contemporary Folk Album and Best New Artist. Rarely has utter hopelessness sounded so beautiful. But don’t let the pretty guitar riff fool you. This one’s a bummer of epic proportions! But Elton was right, sad songs do indeed say so much. Let’s run down a list of the themes represented in “Fast Car”: escapism, despair, financial troubles, alcoholism, unemployment, parental abandonment, quitting high school, lower income housing, single motherhood, the breakdown of relationships and the inability to escape the quicksand environment of cyclical poverty. Clearly this was the party anthem of 1988. 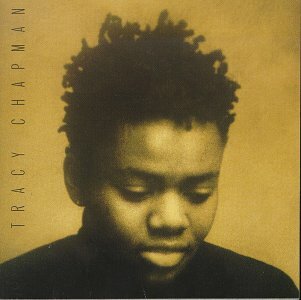 In the song, Tracy takes on the character of a girl who is not being raised in the greatest of environments. Her mother left her father because he was a drunk and couldn’t hold down a job. Tracy decides to stay with her dad because he needs to be taken care of. To accomplish this, she has to quit school and lands a job at a convenience store. She meets a guy who has a “fast car”, which she sees as an opportunity to get out of her current situation. The car makes her feel like there is hope of going somewhere else and starting over. However, she ends up living in a shelter, working in a grocery store, and raising the kids alone because the dude won’t get a job and stays at the bar with his friends instead of coming home. She realizes that instead of changing circumstances, she just brought them with her to a new address. The song ends with her deciding to make something of herself, by herself, and she tells the guy to “keep on driving”. Lyrically the song is quite the downer, but the music is another story. “Fast Car” incorporates an upbeat, finger-picked acoustic guitar hook for the intro and verses and kicks in with a full band for the, dare I say, uplifting chorus. I think the combination of the contrasting musical and lyrical ideas is what makes this song so special. Folk singers are all about “the song” and “Fast Car” is a great example of a singer-songwriter being able to comment on social issues while still being able to fire on all musical cylinders. It’s as if Woody Guthrie came back from the dead and was finally able to crack Top 40 radio. You know, if Woody Guthrie had been an African-American woman with dreadlocks. this song is such a tear-jerker.